En route over Germany, the flight attendant inadvertently set off a smoke canister, intended for emergencies, in the cabin. 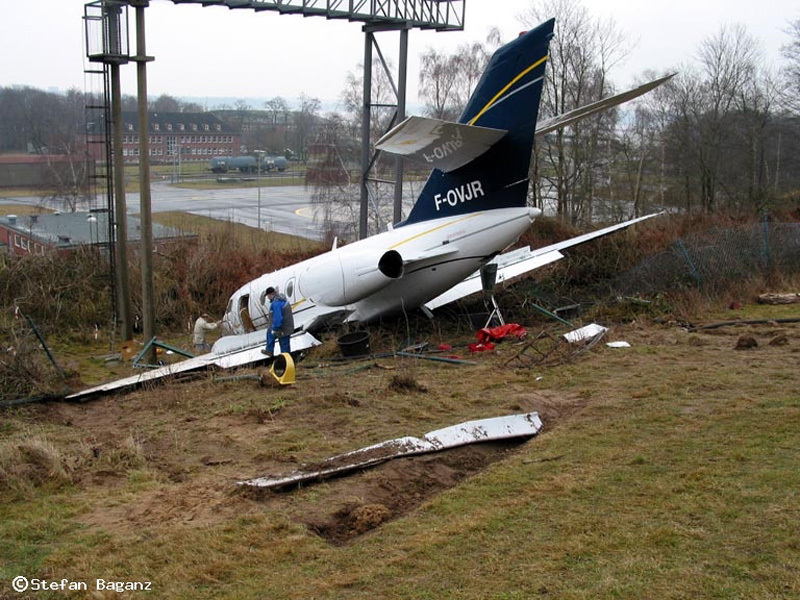 Due to smoke, both pilots informed ATC and decided to divert to Kiel-Holtenau airport. 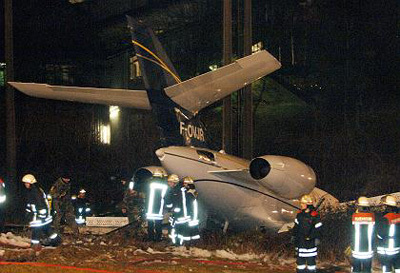 By night, the aircraft landed on runway 26 (1,265 metres long) but overrun and crashed in a ravine. 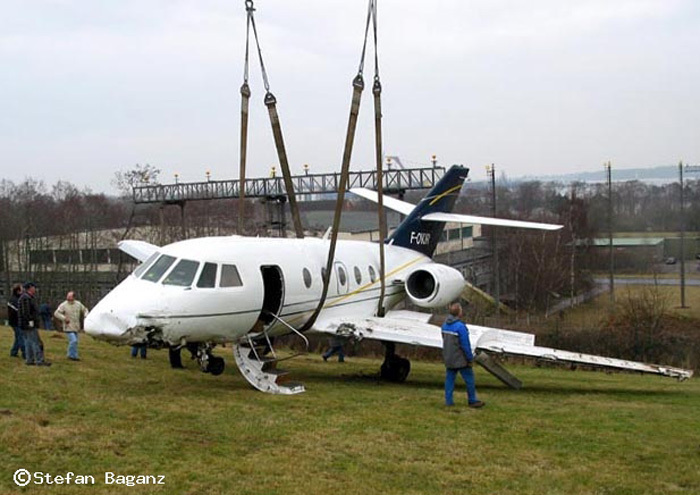 All 6 occupants were uninjured but the aircraft was damaged beyond economical repair.